Jerome 'what does the K stand for' Jerome. That's probably the plight of many a blogger, but it was also the dilemma of Jerome K. Jerome who proceeds to bewail his impecunious state of affairs.This has all come to his attention because he had his hands in his pockets where, expecting to find small change to rattle, he finds none. Actually I love doing that in a shop; clearing out the dregs of shrapnel from my purse, coin by coin as the poor shop assistant looks on and I imagine how long that night's cashing up will take as I painstakingly count out £6.99 in very small change plus a bit of fluff, which I throw in for free. Now I know what the K stands for, or thought I did but in fact this may all be wrong. Jerome's father, a minister, suffered the middle name of Clapp, and was fondly known as Parson Clapp by his congregation. Passing it onto his son possibly an honour that Jerome found wanting and so subtly changed it to Klapka in memory of a Hungarian war hero. He was luckier than the siblings who were all blessed with the oddest selection of names ever invented. 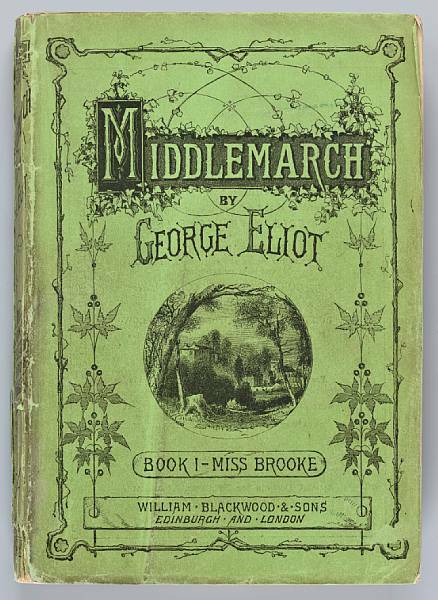 I've had a little wander through Jerome K. Jerome territory thanks to Hesperus sending along The Idle Thoughts of an Idle Fellow and while we're on the subject of the publisher, this cover gets 10/10 in my book. It must be three-quarters of a lifetime since I read Three Men in a Boat and I never made it as far as the book which many say is even funnier, Three Men on the Bummel. I wasn't that up on JKJ either so always good to find that an active Society exists in his memory.I have been known to join these in the past when an author takes over my life. The Margaret Atwood Society possibly the most disappointing to date. Very tricky to join from the UK but undaunted and besotted I ploughed on valiantly with Paypal to my U.S. representative Bluestalking Reader in Chicago, who then sent off the subs for me.I'm not sure what I was expecting but all I got was one measly newsletter and that was that. No welcoming letter from Peggy with a badge and a certificate, perhaps a bookmark.In fact I got more when I joined the PDSA Busy Bees as an eager eight-year old I seem to recall, and I collected enough tin foil in return to build an Apollo spacecraft. I'd have done the same for Peggy. 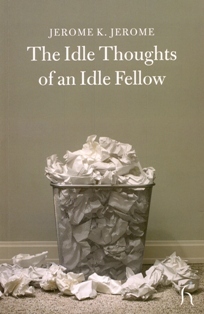 But after a week of serious reading a good chuckle was certainly in order and here's a book that is going into my desk at work to brighten those glum moments.The Idle Thoughts of an Idle Fellow is a timeless little compilation of funny gentle irony.Perfect self-effacing, bubble-bursting humour and an unblinkered look at a variety of subjects from Being Shy and Being in the Blues, to Babies and Cats and Dogs a la 1886. 'a man - an unmarried man that is - is never seen to such disadvantage as when undergoing the ordeal of 'seeing the baby'. His account of the ordeal must remain intact, unquoted and in the book because it had me in stitches and you need to read it for yourselves to get full comic effect.I suspect every generation needs its writer who sees through the gloss and the bluster to the often ridiculous core of the ordinary and Jerome K. Jerome served the late Victorian era well. I'm trying to think who serves us well in this respect now.Garrison Keillor comes to mind over in the US but do we have some UK equivalents? The late, much-missed Linda Smith of course, any others?